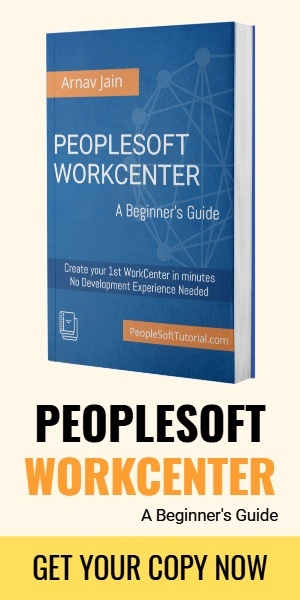 You might know that you can modify translate values for PeopleSoft field from Application Designer by simply opening the field properties and navigating to ‘Translate Values’ tab. To perform this action, you need to have access to application designer. But did you know you could do the same from PIA very quickly? 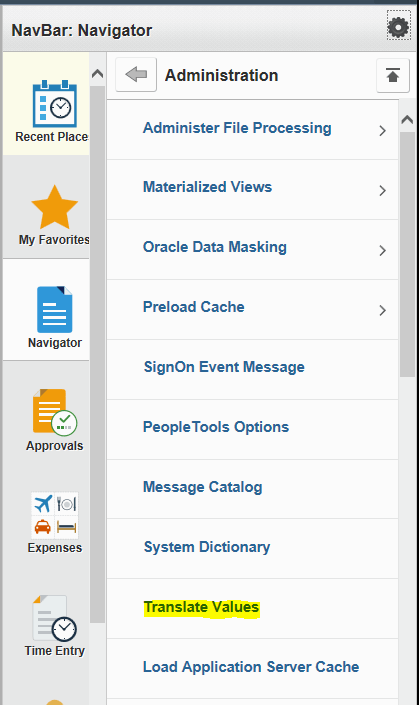 Yes, you can add, update, delete any translate values from PIA as PeopleSoft provides this feature. 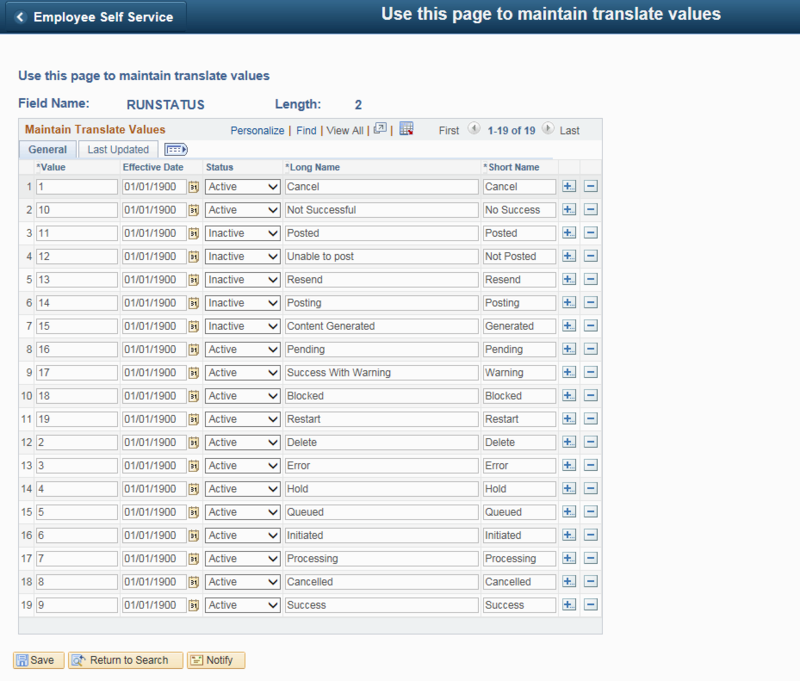 Search for the field that you want to change the translate values for and you will be shown all the translate values. In below example, we opened field ‘RUNSTATUS’ . From this page, you can simply add, delete or modify any translate value for this field. After you’re done making the changes, simply ‘Save’ this and you’re all set. These changes will be reflected immediately. 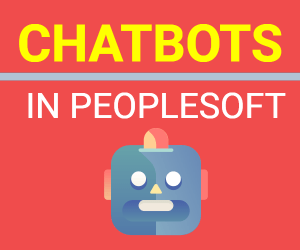 This change can come in handy when you want to quickly update translate value for PeopleSoft field without the need to logging into Application Designer.